Riding a motorcycle is only safe when you have the right equipment. While there are plenty of bikers who complain about helmets, the majority of the people on the road feel safer when they have the right protective equipment. Motorcycle race suits take protection and coverage to the next level. A one- or two-piece leather suit will give you optimum abrasion resistance in the event of a crash or slide and if you’re thinking about taking your bike on track, you’ll need a set of one-piece leathers, or two-piece suit that zips together at the waist. Most leather suits will be made from cowhide or even Kangaroo leather and will feature stretchy inner sections that are made contain Kevlar fiber, so those areas aren’t compromised when it comes to abrasion resistance. Choose between one-piece and two-piece motorcycle suits in both high quality leather and textile materials. So if you’ve decided a riding suit is just what you need, take a look at top 5 best motorcycle racing suits available on the market. Let’s start our review with Perrini’s Motorcycle all leather racing suit. It is designed to protect the racers during the race while they are speeding over 150 mph. Suit is built to last for a long time and made with heavy duty leather and padding to protect the rider when he falls. Full circumferential zipper at waist allows the jacket to be removed from pants and makes the suit legal on all racing tracks. It also has removable dual density armor at knees, shoulders, and elbows. One of the best features of the suit is that the rider feels very comfort and relaxed while wearing or riding. This suit is made for racers and can also be used for street riding or for beginners who want to protect themselves while on the go. Perrini’s all leather suit has all the features that you will find in a suit that costs much more. Next one in our review is Perrini Ghost motorcycle leather suit. It is made of 1.4-1.5mm thick drum dyed top-grain cowhide leather for excellent abrasion resistance. 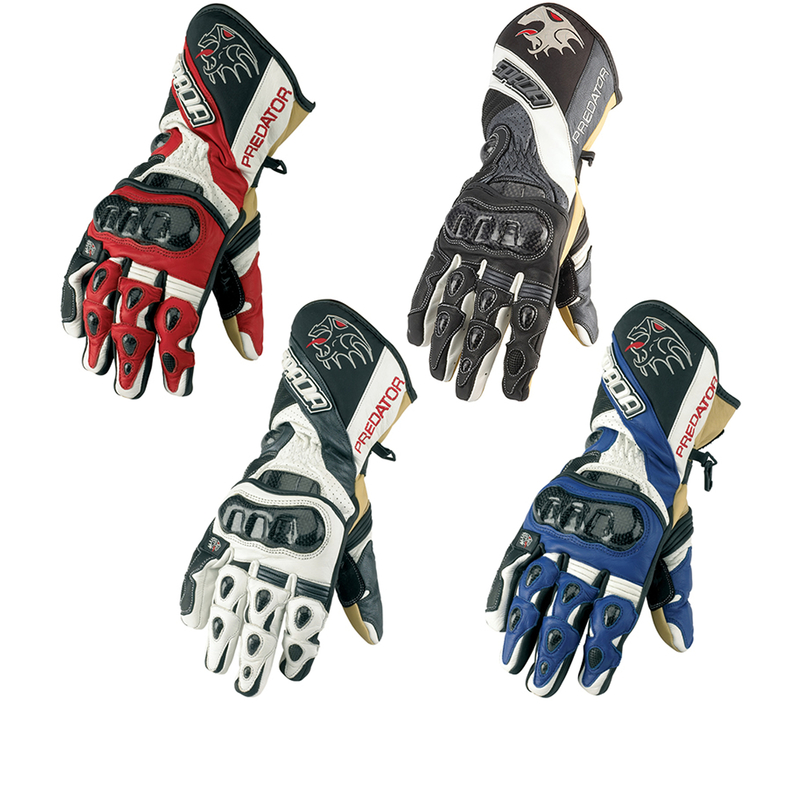 There are pre-curved sleeves for proper riding position, nylon stitching and dual stitched main seams for excellent tear resistance. Metal circumferential zipper at waist allows the jacket to be removed from pants and makes the suit legal on all racing tracks + Mini Zipper at Jacket and pants to attach with any other racing pants or jacket. 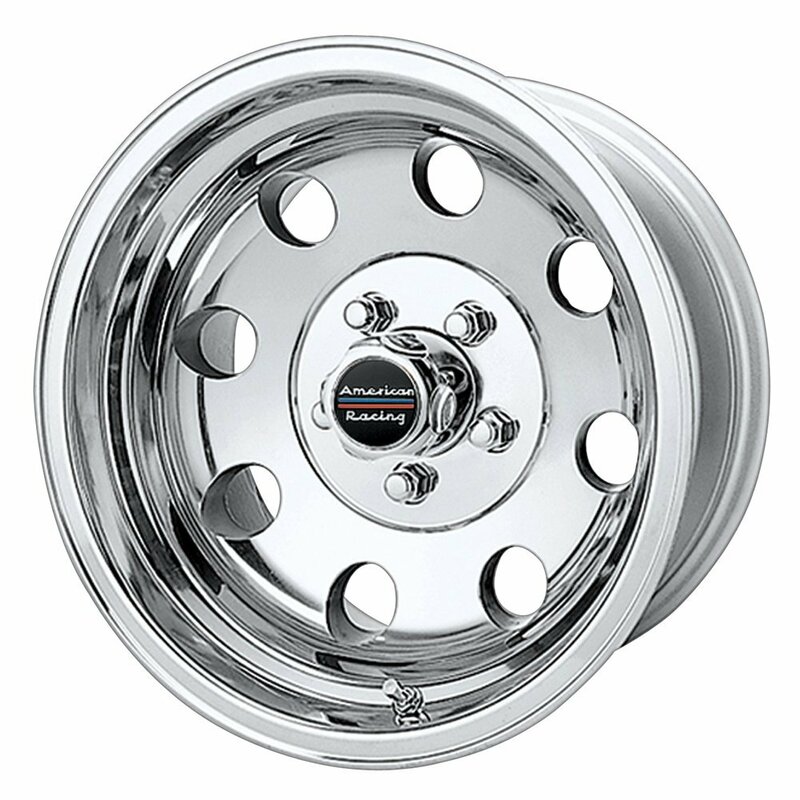 The price of this item is very affordably and we guarantee you will be satisfied with what you get. It’s a great choice if you’re looking for every day comfort and protection because, compared to many more expensive suits, the Ghost offers more stretch and flexibility. For such a good price you get a stylish and highly protective suit. 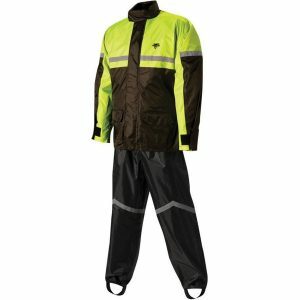 The SR-6000 Two Piece Rainsuit is lightweight and should work great for occasional use. The material used is thin and less bulky than some rain suits making it more comfortable and more convenient to pack, but the thinner material won’t be as durable as a heavier PVC suit or a nylon suit. The under-helmet hood/collar is a neat feature to keep water from going down the collar of the jacket. Not only does the hood keep water out of the collar, but the wrists and waist of the jacket can be tightened to block out any water from entering at these spots. There are two waterproof pockets on the jacket for added storage. For added visibility there is reflective piping that runs across the chest, back and down both arms. Two-piece 100 percent waterproof rain suit will keep you dry and comfortable in the wettest weather. Perrini is aiming for the beginning racer or the aggressive street rider. Constructed using 1.4-1.5mm thick drum dyed top-grain cowhide leather for excellent abrasion resistance. For protection this suit comes with CE approved armor in the shoulders, elbows and knees (all of this is removable). Apart from that, there is also removable dual density spine protector. Lightly padded race style collar will give you a super nice look. There are leather stretch panels at lower back and above the knees. With the stretch panels, you can enjoy a good snug fit and still move around well. These stretch panels are one thing you won’t see in cheap suits. Another good feature you’ll enjoy is the mesh liner in the suit. The price for the mix of features and quality is very cheap and affordable. This suit is very comfortable so you should definitely invest in it. During extreme riding concentration and control of the vehicle are everything. Only with exceptional comfort is it possible to maintain peak performance. High quality leather makes it perfect suit for those in search of unique experiences on the racetrack, offering exceptional ergonomics and freedom of movement. This suit offers the sports rider and track day devotee exceptional levels of protection, comfort, and performance in a sleek, modern design. With co-injected protectors with titanium inserts on the shoulders, patented suit-boot fastening system, this suit has large areas of localized perforation for correct ventilation of the body even during the hottest sessions. 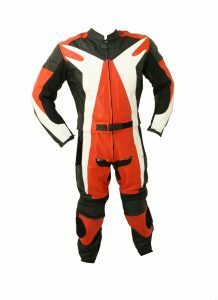 Full circumferential zipper at waist allows the jacket to be removed from pants and makes the suit legal on all race tracks. 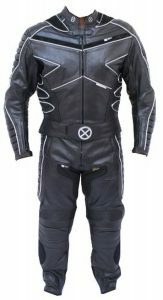 X-MEN Motorcycle leather suit is definitely one of the best suits available on the market. We highly recommend buying this exceptional product. We guarantee you will be satisfied with your purchase. 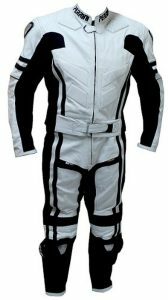 Motorcycle racing suits are certainly one of a mandatory part of owning a motorcycle, and they are a smart investment. Any suit worth its salt will have internal armor in at least three places – the shoulders, elbows/forearms and knees/shins. Some suits will have pockets to add additional armor for the back, hips and legs. More expensive suits may feature external armor, likely made out of hardened plastic or even titanium, which will be likely found in the same locations as the internal armor, adding additional impact protection and allowing the suit to slide smoothly across the tarmac. Fit and feel can vary between brands and styles of the suit. 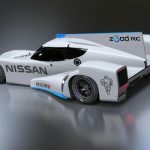 One-piece suit aimed at racing and track use is probably going to be more figure hugging than a suit that aims to cover more bases like touring. So to ensure you get a set of leathers that fit how you want, it’s worth knowing what kind of riding you’re likely to be doing. 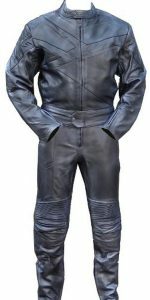 A one or two piece leather suit is usually a relatively significant investment for most riders. This purchase is going to live with you for a very long time. So make sure you’ve saved up enough money to buy what you really want.